MSG hides under a variety of names and can pack a dangerous punch. Read on to learn more about it, where you can find it, and how it affects you. 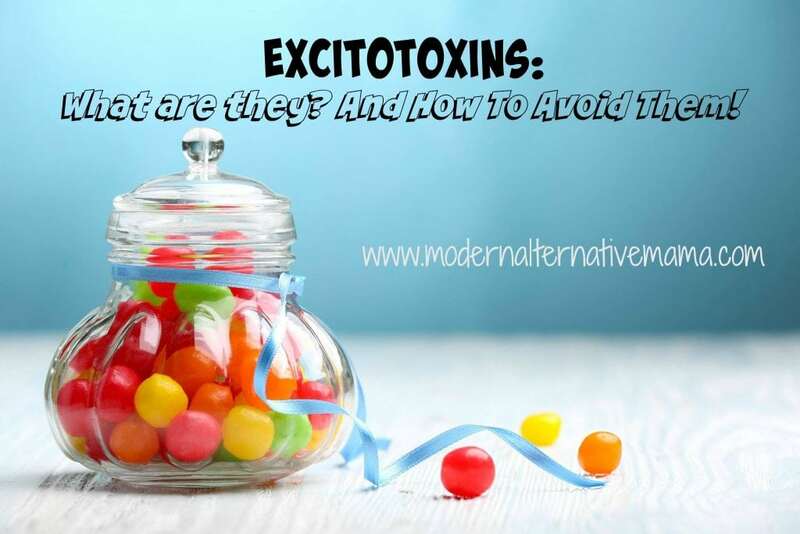 What are excitotoxins and what do they do? What if I told you that there is a substance found in almost all processed or convenience foods, that is totally legal and has been linked to obesity, eye damage, headaches, fatigue, disorientation, depression, numbness and/or tingling in extremities, burning sensations, facial pressure and/or tightness, chest pain, difficulty breathing, asthma, nausea, rapid heartbeat, drowsiness and over-all weakness? (source) Do you think it ought to come with a warning label? But wait! There’s more! (This is like the worst infomercial ever.) This common substance, which you may consume multiple times per day can make the symptoms of autism, ADD/ ADHD, and hyperactivity worse. In older adults, this substance can contribute to Alzheimer’s, ALS, MS, Parkinson’s disease, and stroke. You’d want to avoid this substance, wouldn’t you? Where do you find MSG? But wait, a minute, you say. I don’t eat MSG! Perhaps when you go out for Chinese food, you always ask if they use MSG. And when you buy salad dressing at the supermarket, you always get the one that says made without MSG. So you don’t have to worry, right? Think again! When proteins (such as soy or milk) are processed down to their powdered forms (think of soy lecithin, baby formula, powdered creamers, etc.) they become excitotoxins! MSG is not always labeled as MSG. In fact, it hides under a variety of names–over 40 actually! Things like hydrolyzed proteins, “natural flavorings,” aspartame, autolyzed yeast, caseinate, textured protein, yeast extract, maltodextrin, bouillon, and anything “ultra-pasteurized” all contain (or create in the body) MSG. Because of this, most snack foods are full of MSG–from crackers to chips to jerky to instant noodles. MSG here, MSG there, MSG everywhere! As a mom who is trying to feed her family well and not have the kids have a snack-time meltdown, it’s important that I choose wisely. Recently I discovered Nick’s Sticks. Nick Sticks are 100% grass-fed beef or 100% free-range turkey snack sticks that contain absolutely no MSG. (Also, no nitrates, no red dyes, no hormones, no antibiotics, and no gluten!) And they are delicious! I mean, a turkey stick that actually tastes like turkey–not artificial turkey flavor. REAL TURKEY! Beef from cows raised on pasture, fresh air and happiness. This is meat that you can feel good eating because you know the animals were treated respectfully. Nick Sticks comes in four flavors: Beef, Spicy Beef, Turkey and Spicy Turkey. The kids love the regular ones. My husband and prefer the spicy ones. And by spicy, I mean you can see the peppers in the meat! Beautiful! This is real food, people! And super delicious! And the fact that I can give it to my family with a clear conscience is a total win! Nick Stick’s is made by Nick Wallace of Wallace Farms. Nick is a cancer survivor and organic farmer in the Midwest. The farm has been in his family since 1894. Snacking wisely is an important part of our day, actually. Snacks have to be nutrient dense. They have to fuel us up right. In order to meet those needs, we can’t just reach for anything off the supermarket shelves. The risk is too great. That mid-afternoon snack has to help us concentrate on our homeschool work or farm chores. We can’t risk the side-effects of an excitotoxin binge! Thankfully, there are options like Nick Stick’s out there. Do you find you have a reaction to food containing MSG? How do you avoid it? I do my best to avoid MSG. My girls love beef jerky. Thanks for the info about Nick’s Sticks. I haven’t heard of them before. I will check them out. WOW, I am totally that person you mentioned who thought because I don’t eat Chinese food I was safe from MSG. Although we live a pretty healthy lifestyle I will be taking a closer look at the foods I have in my home. Thank you for this article.